Made to look like a futuristic relic. Remember the flying Bugatti from the futuristic action movie Elysium staring Matt Damon? 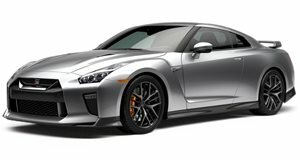 While that was pretty cool, the Nissan GT-R that was redesigned to look 140-years-old in the movie was the standout vehicle. Thanks to Marcel Lech Photography, we have some stunning shots of the ancient Godzilla, heavily armored and modified for autonomous driving in order to deal with the perils of living in the year 2154.